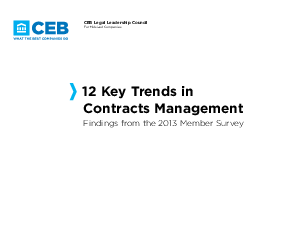 Gain in-depth insight into the challenges and viable solutions presented by the current contracts management landscape. Determine the scope of their contract review policies. Identify opportunities to accelerate their approach across the contract life cycle -- from drafting through negotiation, review, and monitoring.